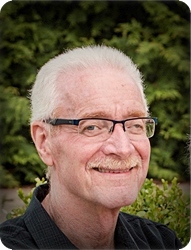 Gary Duane Douma, 72, of Byron Center, a gentle man, and a true gentleman, passed peacefully into the presence of God on Wednesday, January 23, 2019. He will be lovingly remembered by his wife, Kathy; his children and grandchildren, Russ and Natalie Douma (Maxwell, Macey), Brenda and Alan Sloterbeek (Megan, Erin, David), Carrie and Doug DeVries (April, Brooke, Nathan), and Jason Douma; his brothers and sisters, Ron and Norma Douma, Wes and Mary Douma, Sharon (Vos) and Tom Pasma, Carla and Chris Tell; brothers-in-law and sisters-in-law, Beth and David Butterbaugh, Fred and Valerie Syswerda, Mark and Linda Syswerda; many loved nieces and nephews. The family will greet visitors on Sunday, January 27, from 2 - 4 and 6 - 8 pm at Hillside Community Church, 1440 68th St. SE, where a memorial service celebrating Gary's life will be held at 11 am Monday, January 28. There will be one hour visitation prior to the service from 10 - 11 am. In place of flowers, please make a gift in memory of Gary to World Renew, an organization he cared about deeply. My sincere, heartfelt sympathy to Garys family. Many wonderful memories remain in my heart and mind, of the many hours spent together as cousins in our childhood. Rest in peace dear Gary, in the arms of our Lord. Dean’s Pad Service ran out of the barn at the 100th street location. Gary was indeed a gentleman and loved a good laugh and was quick with his wit! May God comfort you all in this time of grief.